Address: 1050 Nine North Drive, "D"
August 23, 2014: Chandlee & Sons Construction are experts at design/build construction. Featured here is our business construction project for SIMOS Insourcing, just one of three back-to-back design/build projects we constructed in John Weiland’s Braeburn Village development located in the Crabapple community of Alpharetta, Georgia. 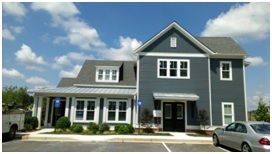 We also completed projects for Alpha Spine Center and Crabapple Financial. All three projects are found in our Portfolio under the Offices category on our website chandleeandsonsconstruction.com. Copyright © 2018 Chandlee and Sons Construction, LLC; a subsidiary of Chandlee Holding, LLC.